In another blog post, The Big Bang Metaphor, I’ve explored the build-up of the universe (oh, and I talked about wiki’s too): http://blogs.technet.com/b/wikininjas/archive/2012/06/17/the-big-bang-metaphor.aspx . In The Big Bang Metaphor, I used a metaphor where http://social.technet.microsoft.com/wiki/ stood for the Milky Way. One of the takeaways of this article was that there are around 100 billion galaxies, each containing 100 billion stars. Based on these overwhelming numbers, it’s not very surprising that there are people in this world who believe in alien life forms. I like unrelated side notes. As an unrelated side note, it’s incredible what people are willing to believe. If you know Dutch people, you’ll probably acknowledge that we’re a phlegmatic bunch of people, but some of us have our temporary lapses. In the 1950s, in the Netherlands, “Lou de Palingboer” became a famous person in our country (literally translated: “Lou the Eel Farmer”, but I’m not sure if this translates to something intelligible in English). His believers said they “were in Lou”. Lou was an immortal prophet (http://nl.wikipedia.org/wiki/Lou_de_Palingboer, Dutch only) who unfortunately died at age 70. His followers called this a “temporary absence”; nevertheless, this event was a severe blow to his credibility. Let’s go back to the more normal topic of alien life forms. In this blog post, I won’t reveal whether alien life forms exist (I’m saying this right now, not wanting to disappoint you!). What I will do is provide you with a close encounter of the third kind with another Wiki life form coming from another Wiki galaxy. Please note: Close encounters refer to a ufology system of classification describing encounters with UFOs. A close encounter of the third kind is the highest form of contact referring to a sighting of the occupants in and around a UFO. Today, the alien life form we’ll be visiting is the SharePoint Wiki page, living in the SharePoint galaxy. The first thing you need to know about SharePoint Wiki pages, is that they only exist in containers known as Wiki libraries. They allow you to specify fine grained security settings, where users or groups of users may be allowed to view certain Wiki pages, but not others. This is a huge difference with TN Wiki, where everybody sees everything. You can like them or add tags and notes using two buttons at the top of the page, which helps the findability of the Wiki page greatly: See Figure. The SharePoint search system (a variant of SQL full-text indexing) uses term weighting to boost the relevance of likable Wiki pages (I assume this is very similar to the way it works in TN Wiki). As you can see in the next Figure, pushing the “I Like It” button results in the adding of the “I like it” tag to the Wiki page. 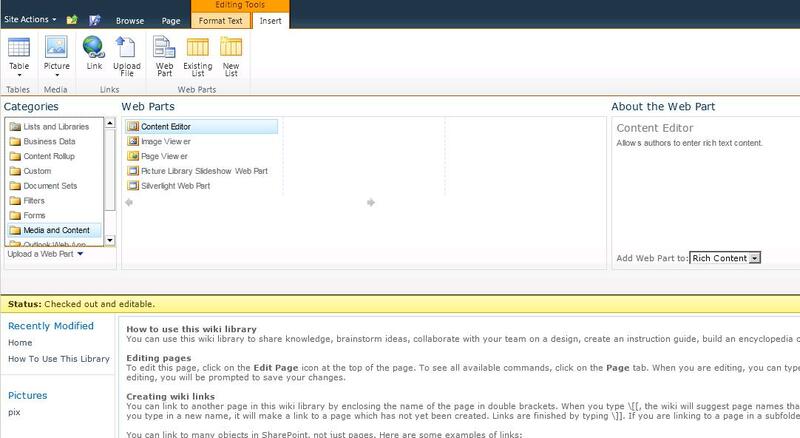 In addition, you’re free to add your own custom tags as well (shown in a dialog via the SharePoint Dialog Framework: http://social.technet.microsoft.com/wiki/contents/articles/7885.sharepoint-2010-resources-about-the-sharepoint-dialog-framework.aspx ). See Figure. 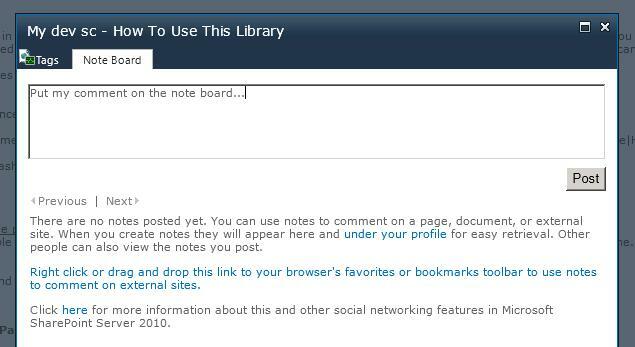 If you want to comment on a Wiki page, you can use the Note Board: See Figure. The “I Like It” and “Tags & Notes” features of SharePoint Wiki pages are quite similar to the Comments and Rating features found in TN Wiki. You can open a Wiki library in your browser, which results in the display of the default Wiki page. You’ll also get access to an overview of the Recently Modified Wiki pages, and an overview of all Wiki pages in the library. This is shown in the next Figure: See Figure. Compared to TN Wiki pages, there’s a huge difference. A SharePoint Wiki page can be (but doesn’t have to be) checked out exclusively for editing. This is shown here: See Figure. 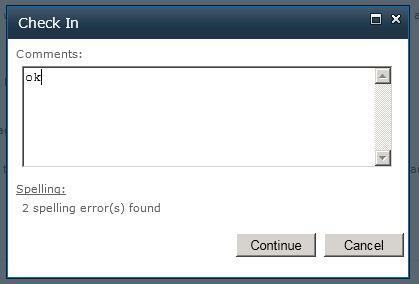 Once you check in, you’ll also notice the presence of a spell checker: See Figure. 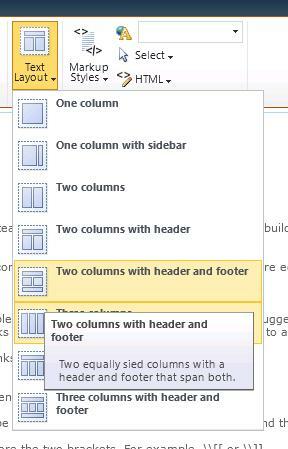 A SharePoint Wiki page offers advanced editing tools. First of all, a set of rich text editing possibilities: See Figure. It also has the ability to choose between different Text Layouts: See Figure. 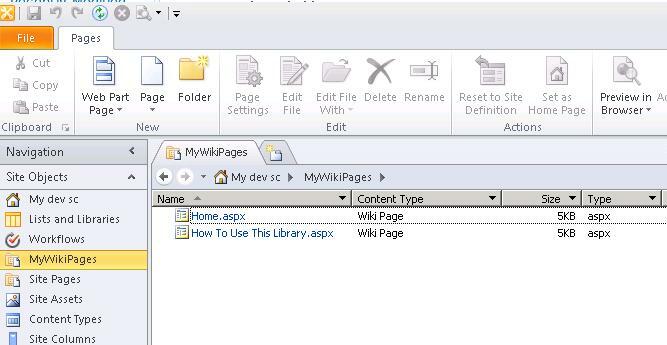 But what truly sets SharePoint Wiki pages apart from other Wiki pages is the ability to add web parts to a Wiki page. Web parts, if you don’t know them, are specific types of user controls and can therefore contain any type of functionality. 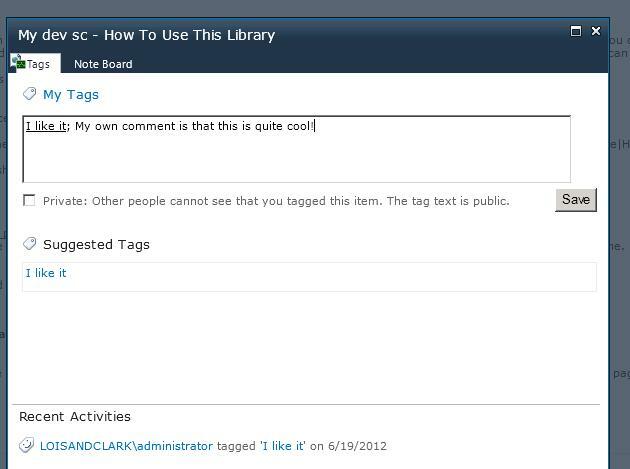 I addition to that, you can also add files and SharePoint lists to a Wiki page. The next Figure shows how I’m choosing a web part to add to a Wiki page: See Figure. The next Figure may be a bit hard to see, but here I’m configuring web part properties inside the Wiki page (which allows me to specify whether the web part has a chrome, personalization settings, web part connections etc. ): See Figure. The next Figure shows how I’ve added a SharePoint list in the middle of a Wiki page: See Figure. The next Figure shows the Wiki library settings page which offers access to advanced options, such as enabling RSS, define workflow settings, metadata navigation settings and stuff. Too much to discuss in detail here. See Figure. A final thing about SharePoint Wiki pages I’d like to mention is that not only can you work with them via a browser, you can also edit them using SharePoint Designer 2010, show next: See Figure. Although you’ll probably agree that the SharePoint Wiki framework is more powerful compared to the features offered by TN Wiki, it’s sorely lacking one thing: the TN Wiki Community. That means you guys! 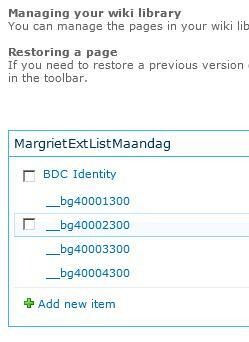 Tags 1K+ 2K+ Margriet Bruggeman Weekend - Surprise!!! Hey do you have a TechNet Wiki page about the SharePoint Wiki library? You want to add one?